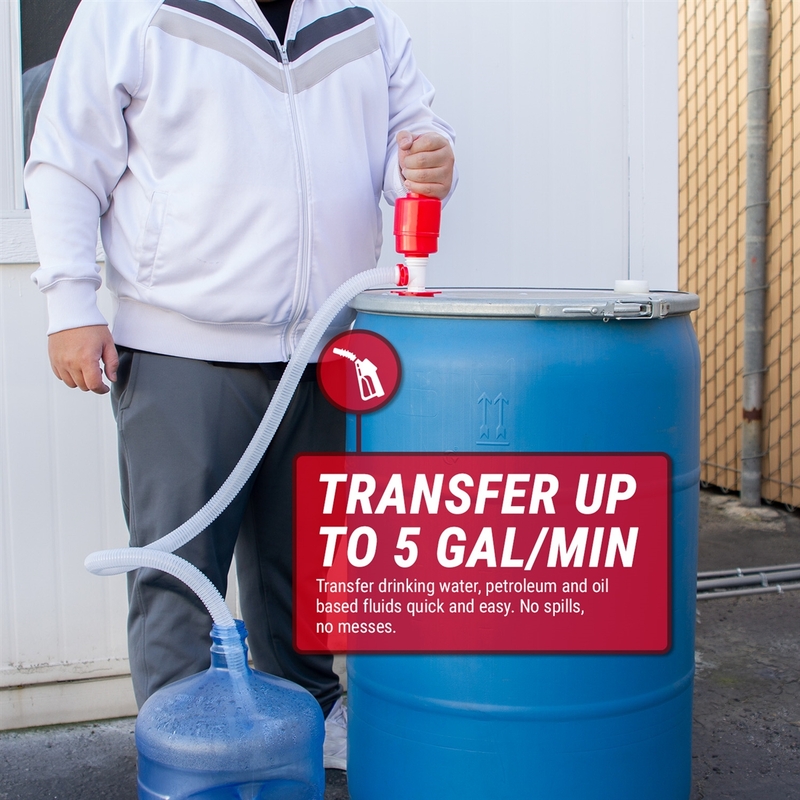 The TERA PUMP TRDRUM20 is an affordable manual transfer pump designed for quick and easy emptying of gas cans of various sizes. The TRDRUM20 eliminates the lifting of large, heavy, gas cans and spilling wasted fuel. Up and down operated flexible spring type bellows allow smooth operation and high powered discharge. 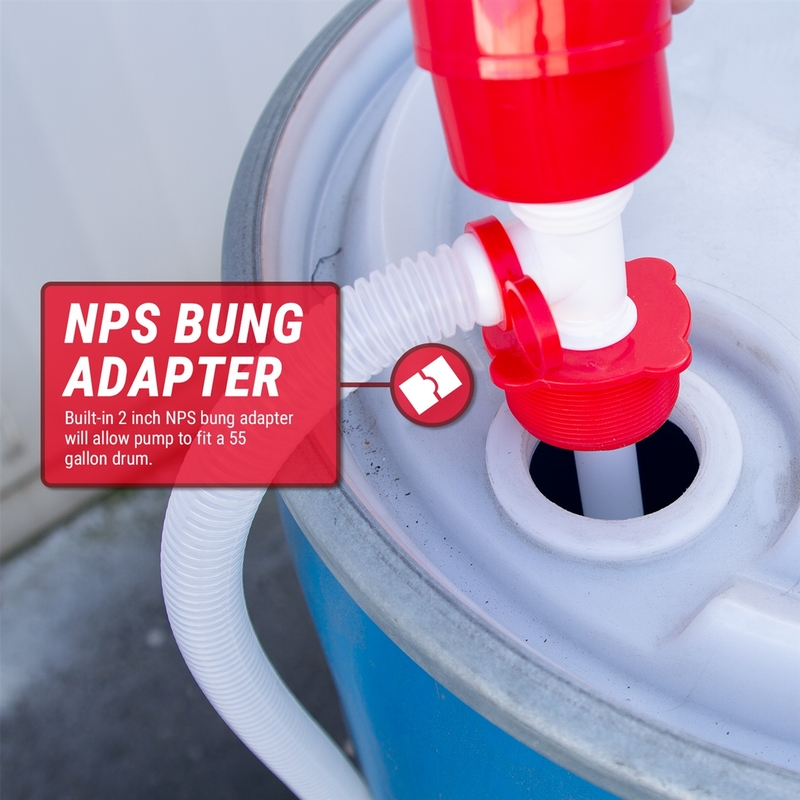 Includes a standard 2 inch NPS bung adapter. Discharge tube designed to be flexible for better control of the flow. Suction tube can be cut at an angle to lay flat against the bottom for easier transferring. 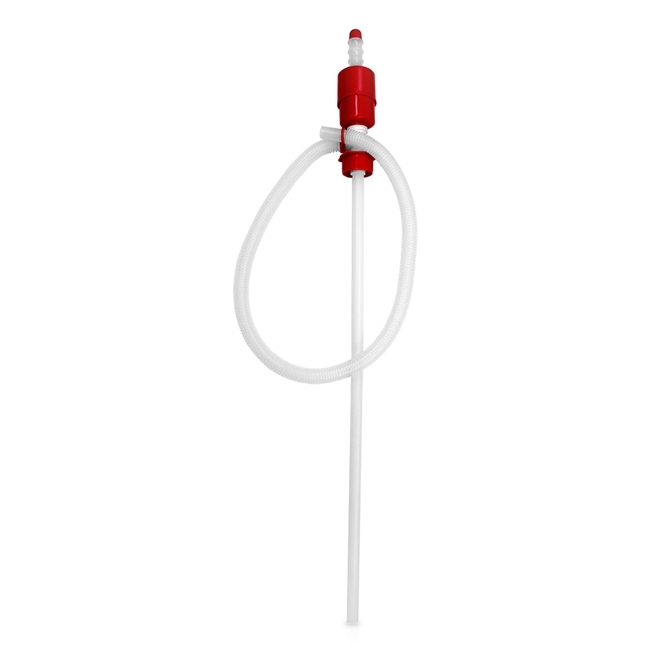 Food quality drinking water safe siphon pump for drum barrels or cans. 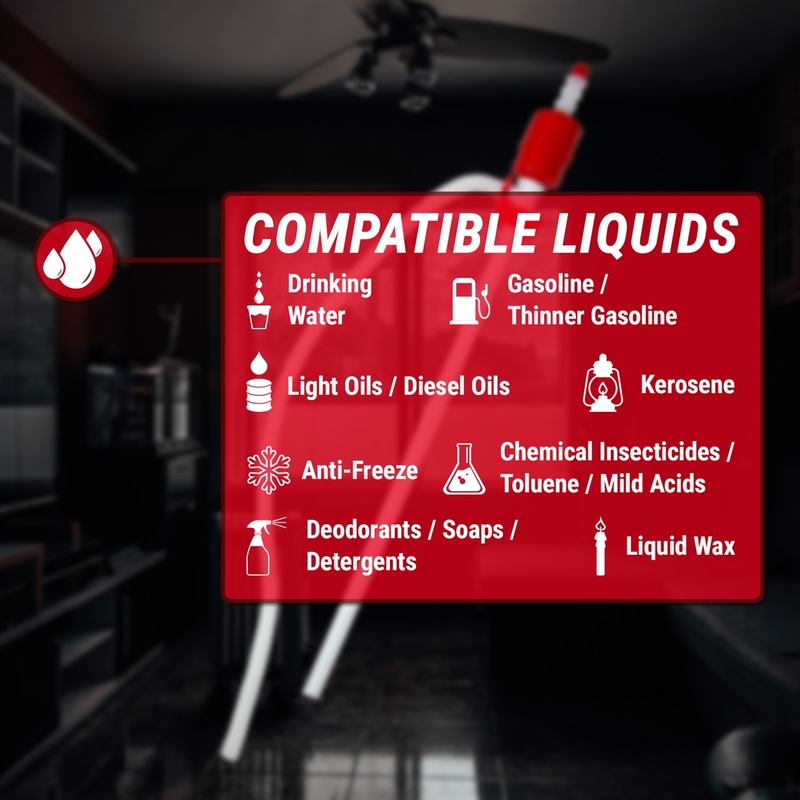 Petroleum Products, light oils, kerosene, disesl oils, deodarants, corrosives, chemical insecticides, soaps, detergents, mild acids, anti-freeze, liquid waxes, thinner, gasolline, water, etc. However, if necessary, cut suction tube at an angle to fit your supply container. Inserct suction tube into suply container and screw down threaqded bung adapter. Grasp top handle and pump up and down. When discharge hose is completely full, you may cease pumping to allow siphoning action. Siphoning will slow down and then cease as supply lowers and reciever rises. 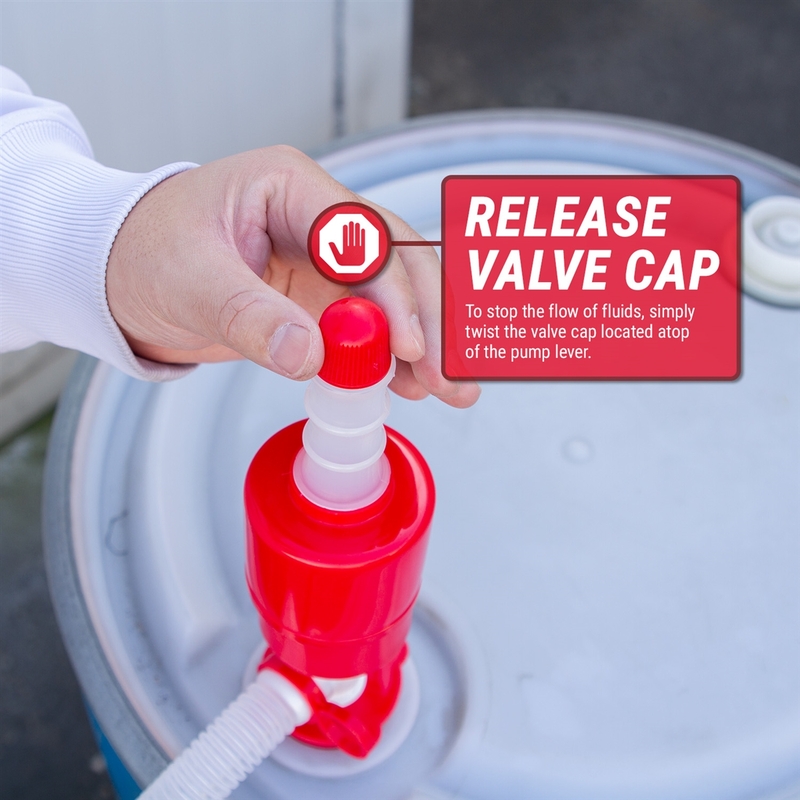 To stop the flow at nay time, unscrew cap on the top of the handle counterclockwise. When finished, close cap before next use.